Provider of real-time trends and insights for WordPress will use partnership and new funds to extend feature set, integrate with the WooThemes platform and grow customer base. PressTrends, the WordPress-centric analytics platform and provider of real-time trends and insights for developers, designers, consultants and publishers, today announced a major partnership with WooThemes, one of the largest theme and infrastructure providers for WordPress sites. The partnership also includes a strategic investment by WooThemes in PressTrends’ current round of financing. The agreement is part of a broader strategy to support and integrate strong players in the WordPress ecosystem, and further solidify WooThemes as an end-to-end platform for the best sites, services and stores worldwide. PressTrends will be integrated into all WooThemes themes and plugins, including WooCommerce, opening up the tool to hundreds of thousands of new users. Offering a beautiful and easy-to-read dashboard interface, PressTrends gives developers, designers, consultants and publishers a robust picture of how audiences are interacting with their themes and plugins, as well as the actual content on the underlying sites. There are currently over 45,000 WordPress instances sending data through PressTrends with over 5,000 sites added per week on average. 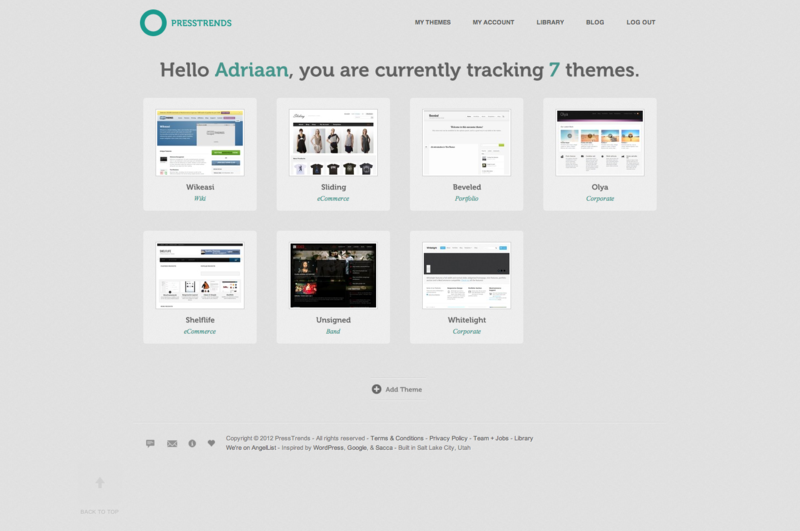 PressTrends is currently integrated into over 300 themes, over 300 plugins and has tracked almost 3 million activations. With PressTrends, anyone can track engagement across whole WordPress sites and individual elements alike. PressTrends isolates usage trends within themes, plugins and content categories. PressTrends makes it easy to track multiple products. 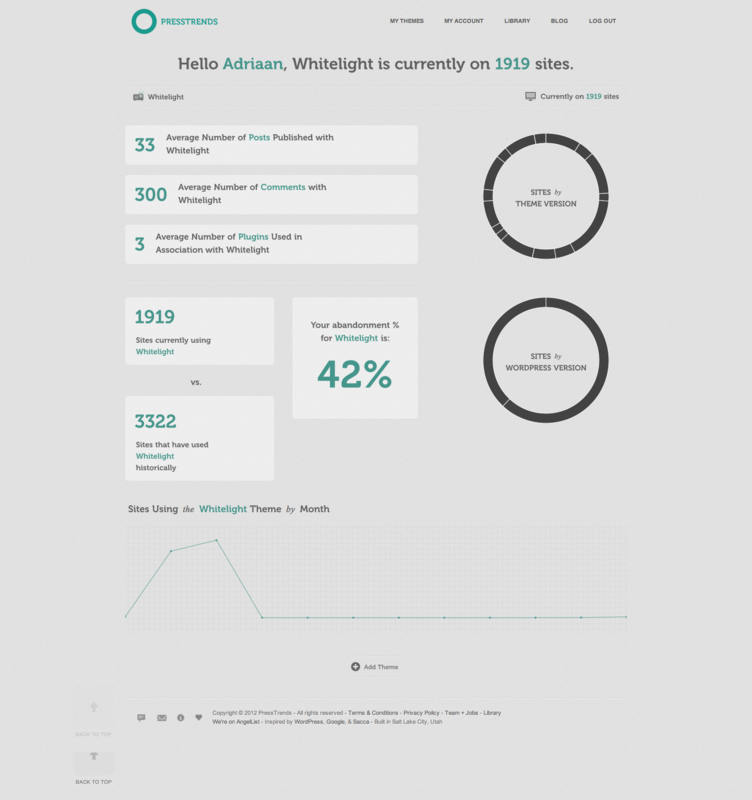 It can also look at how a given site or blog performs against the larger community. Most importantly, PressTrends provides suggestions to improve performance, based on historic and real-time data. PressTrends plans to leverage the investment to help further build out and improve the current platform and is also exploring strategic partnerships with other premium vendors to help increase traction and adoption. They will also be building out their team and infrastructure to accelerate the growth of the platform in the coming months and are building out a suite of premium features. WooThemes co-founder Adii Pienaar and KissMetrics co-founder Hiten Shah have also been added to the PressTrends Board of Advisors. Anyone can download the PressTrends plugin directly here. For more documentation and guides to help implement PressTrends into themes, plugins and sites, visit the PressTrends library. Founded in 2011 by George Ortiz, PressTrends is developing a visionary analytics platform that delivers real-time trends and analytics for developers, designers, consultants and content creators and their themes, plugins and sites. With PressTrends, users can track real-time insights for a robust picture of how people are interacting with their themes, plugins and blogs through a beautiful and easy-to-read dashboard interface. For more information, visit http://presstrends.io.